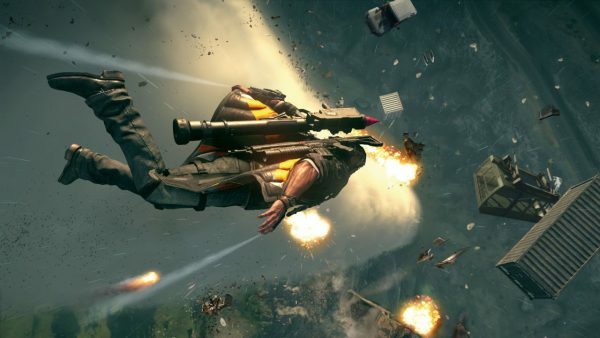 Just Cause 4 releases on December 4, but you can check out the reviews now. With the over-the-top, Mission Impossible-style feats, Just Cause 4 is as engaging and outrageous as ever, though there’s certainly a feeling that all this action is overcompensating for a lack of meaningful story-telling. Once again, you play as Rico Rodriguez, this time helping to liberate the South American island of Solis from an oppressive despot. Existing outside the normal laws of physics, you can grapple-hook, parachute and wingsuit your way across the map, taking part in skirmishes and blowing away your enemies with a single shot from a wind cannon. Whilst Just Cause isn’t the most strategically demanding game to play, there are enough new features and gadgets to keep you entertained for hours. See below for a list of the reviews we’ve spotted. As always, scores are out of ten unless otherwise noted.